The Covestor Rockledge L2 strategy fell 3.3% in January, net of management fees. This represents slight outperformance relative to the S&P 500 Index (SPX), the strategy benchmark, which fell 3.46% for the same period. Since this portfolios inception on July 30, 2013, Rockledge L2 has maintained a somewhat different portfolio allocation than usual. Rockledge began running this sector rotation strategy in 2005, and typically holds three sector positions (Sector Spiders) out of nine sector possibilities. These positions are generally chosen from an analysis on each stock in the S&P 500. Rockledge begins its process by evaluating individual company fundamentals. These are classic business school factors like corporate earnings, sales, and debt ratios. It uses this analysis to base judgement on ‘valuation’ of these companies individually, then in aggregate, by sector. For example, Rockledge will analyze all the companies in the industrials sector–General Electric (GE), Honeywell (HON), Boeing (BA), Caterpillar (CAT) for example–to determine overall valuations. Then, we also look at many macro factors, such as US interest rate levels and credit spreads. Finally, we will also examine some technical factors, like stock price changes and moving averages. All of these analyses can help Rockledge to mathematically determine which sectors may be overvalued or undervalued today when looking at the stock market over the next 4-6 months. Since we launched this particular Rockledge portfolio in July 2013, it has generally maintained 4 positions, equally weighted in the following sectors: Industrials (XLI), Healthcare (XLV), Consumer Discretionary (XLY) and Financials (XLF). These positions have really stayed stable since inception in July. This longer holding period is typical for our L2 strategy, which tends to react to changing fundamentals much slower than many other strategies. Historically, the three holdings in the portfolio have had a solid performance recently. However, as of late, there have been many outside events which have occurred, which are very difficult to predict, yet alone, determine the potential impact on a stock or the markets. For example, today’s stock market seems to be more reactive than usual to unemployment figures. Likewise, new healthcare laws have added complications to historical valuation methods. Given this, Rockledge has added a fifth sector ETF, Technology (XLK), to help diversify the portfolio this month. The results have been mostly positive in a tough market. Only three sectors outperformed the S&P 500 Index; utilities (XLU), technology (XLK) and healthcare (XLV), and only two, XLU and XLV, were positive for the month. Financials (XLF) was down slightly more than the overall market, while the consumer sectors (XLP and XLY) really got battered. Obviously, I don’t have a crystal ball, but in the short term, I believe riding out this volatile marketplace with defensive positioning not only seems prudent, but seems to be working! We continue to face a “risk on/risk off” mentality, driven by headline events, which are out of the investors control. As noted, events in Europe, China and the emerging markets have a more profound impact on the US markets than they did 10 or 15 years back. These events are not just difficult to see coming, it is also hard to estimate how and where they will impact. It is challenging to look back and try to use history to help allocate investments in 2014. It is not always so clear. At the end of 2012, I cut out the results of the CFA Institute’s annual global market survey, and paid particular attention to the sell-side strategists 2013 forecasts for the S&P 500. It said “sell-side strategists, known for their bullish nature, are predicting a gain in the S&P500 of 7.6%” for 2013. Well, the S&P 500 returned about 32% in 2013. The highest predictions were from Citibank (C) and Bank of America (BAC), which called for 13% and 12% returns for 2013. At the other end of the predictions were UBS (UBS) and Wells Fargo (WFC), calling for negative results. Furthermore, most advisors were suggesting their investors reduce allocations to fixed income, ahead of the Great Rotation of money into stocks and out of bonds. Early, 2013 saw allocators pointing at the emerging markets equities – in particular BRIC (Brazil, Russia, India and China) as well as MIST (Mexico, Indonesia, Singapore and Turkey) allocations. Treasury Bonds at home, while safe, have historically low rates and have been quite volatile. For example, the iShares 7-10 year ETF (IEF) fell over 7% in 2013. Many called for allocation to TIPs, high yield or emerging market bonds. These allocations to fixed income exposure generally returned negative results in 2013. This year is a far different environment and the S&P is down early in 2014. The CBOE Volatility Index (VIX), sometimes called the fear gauge, has spiked. Why? Look around. China is slowing. Argentina and Turkey are in financial trouble. Iran, Syria, Iraq and the usual cast of countries have not made much progress. The US faces debt ceiling talks again. There is real concern over terrorism at the Olympic Games.None are good signs! To Rockledge, given this data, it seems prudent to be diversified and defensive. The Rockledge Group focuses on alternative strategies and sector investing. We focus on delivering positive risk-adjusted returns by forecasting the relative sectors within the S&P 500 Index. 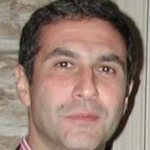 I am Alex Gurvich, co-founder The Rockledge Group. I have managed the company’s strategies for the past seven years. Prior to founding Rockledge, I worked as a venture capitalist with General Electric’s GE Capital. I also previously worked as management consultant with Bain & Company, and worked as an engineer/physicist for a scientific instrumentation company. My BA degree is in Physics from the University of Chicago, and I hold two Masters Degrees – an MBA from INSEAD and a MS in Financial Engineering from New York University Polytechnic Institute. I also serve as an Adjunct Professor of Finance at Pace University, Lubin School of Business. Positions2015.04.09Ready for a 20% stock price haircut?